Graded VG 40 by SGC (submitted by REA). 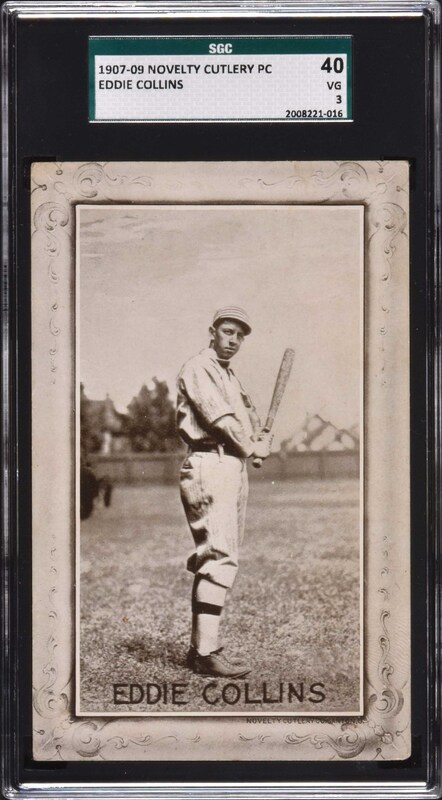 Extremely striking example of Hall of Famer Eddie Collins from the highly prized 1907 PC805 Novelty Cutlery postcard set. The PC805 series is universally recognized as one of the most desirable of all baseball postcard issues. These cards have always been appreciated by collectors both for their extreme rarity and distinctive style. This very attractive example of Eddie Collins is one of only fifteen Hall of Famers in the Novelty Cutlery set. Well centered with even corner wear and a faint crease along the bottom border (more noticeable from the back), which is solely responsible for the assigned grade despite a better appearance. 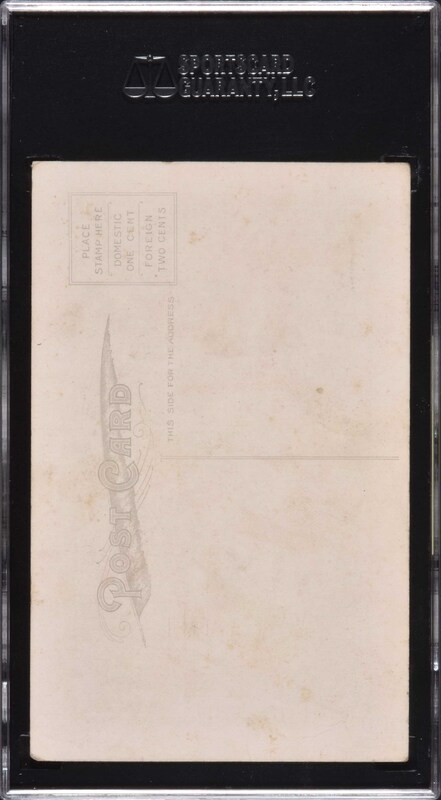 The reverse has some light spots of toning, and has never been mailed. This is a very impressive-looking Hall of Famer example from this rare and elegantly designed set. Reserve $200. Estimate (open).